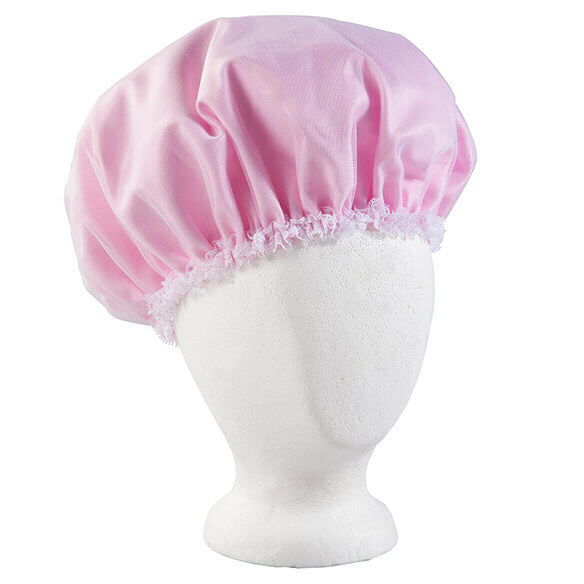 Extend the life of your hairstyle or blowout with this Beautyful™ Satin Sleep Cap. Wake up with hair as beautiful as when you went to sleep, thanks to this nightcap’s satiny smooth lining that slides right over your strands. Sleeping cap is lightweight and comfy, with a non-binding elastic edge. Available in pink or leopard print. Made from 100% polysatin. Machine wash. Made in the USA.